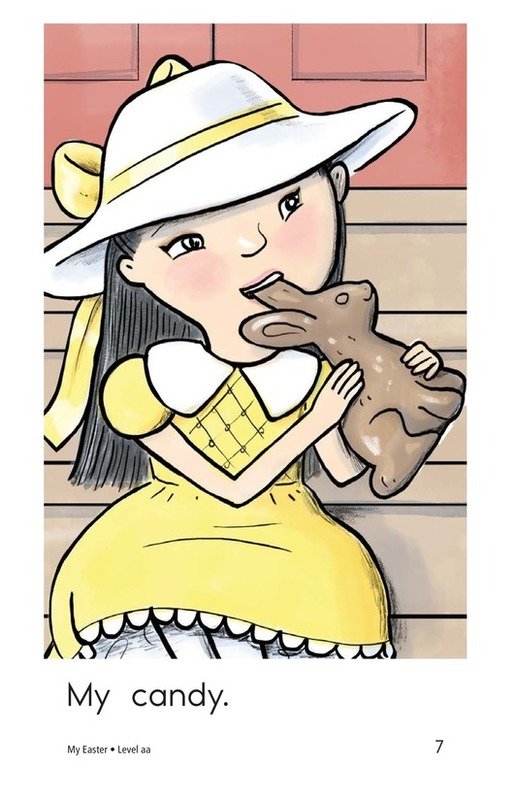 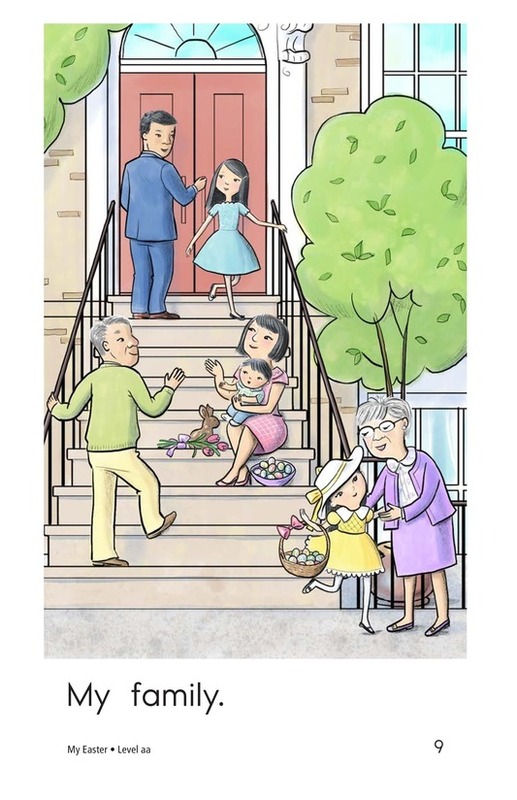 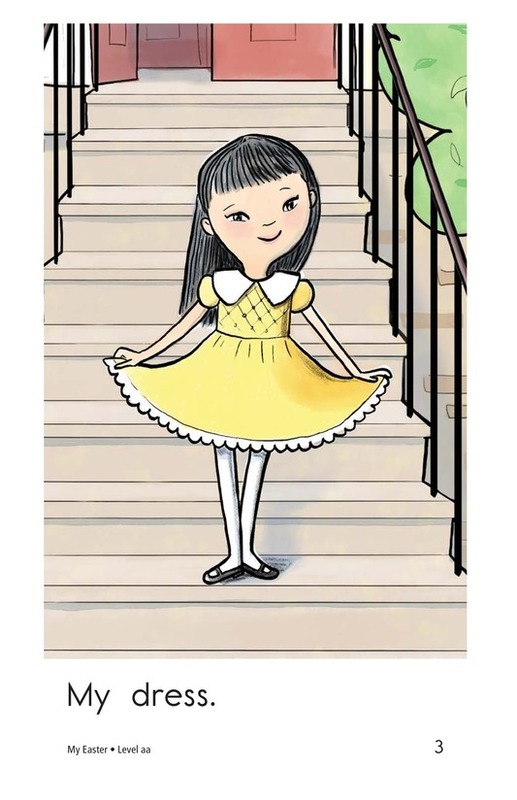 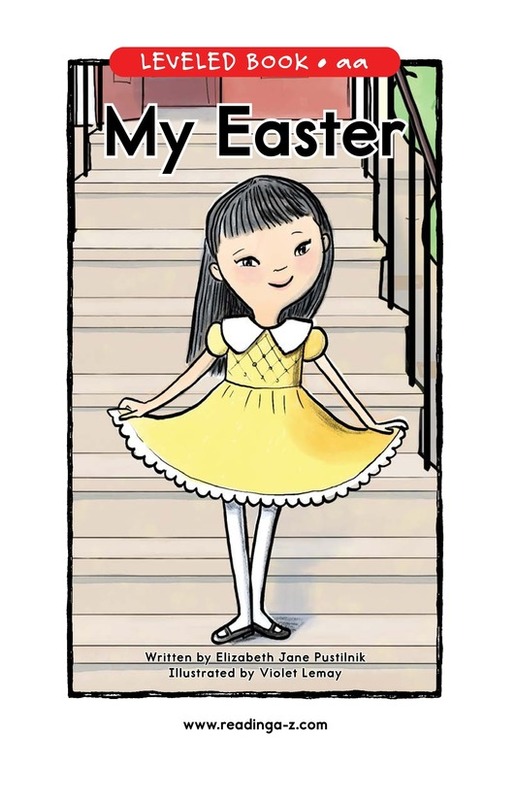 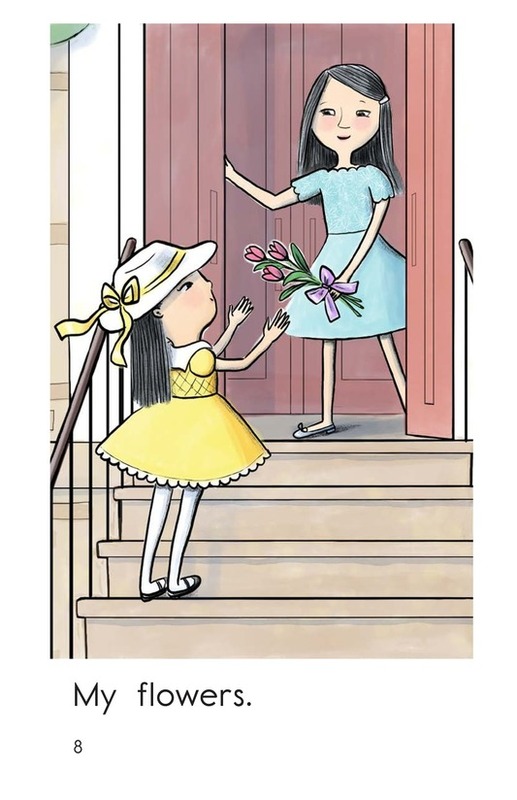 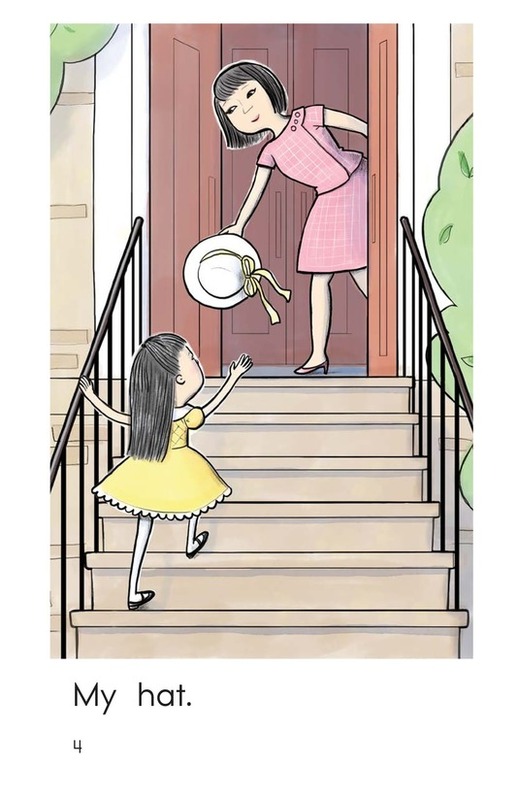 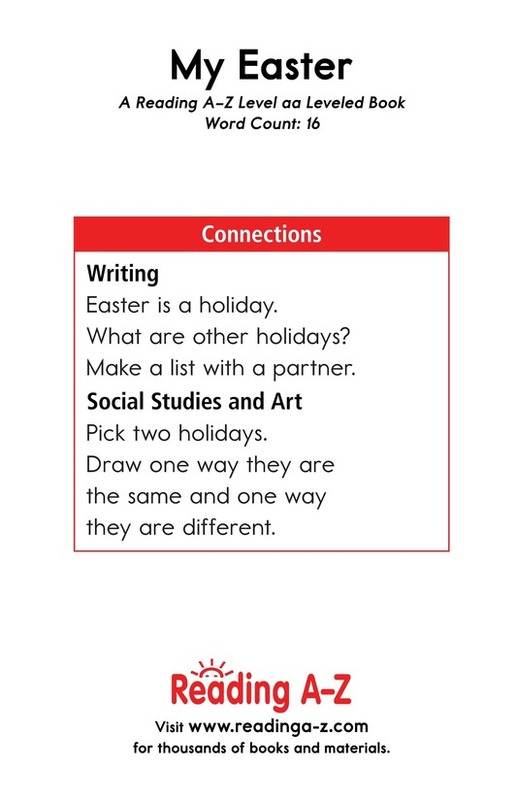 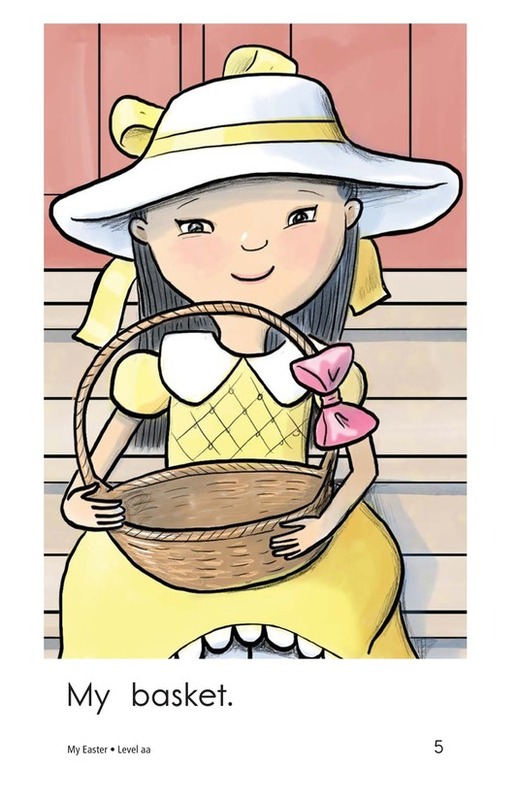 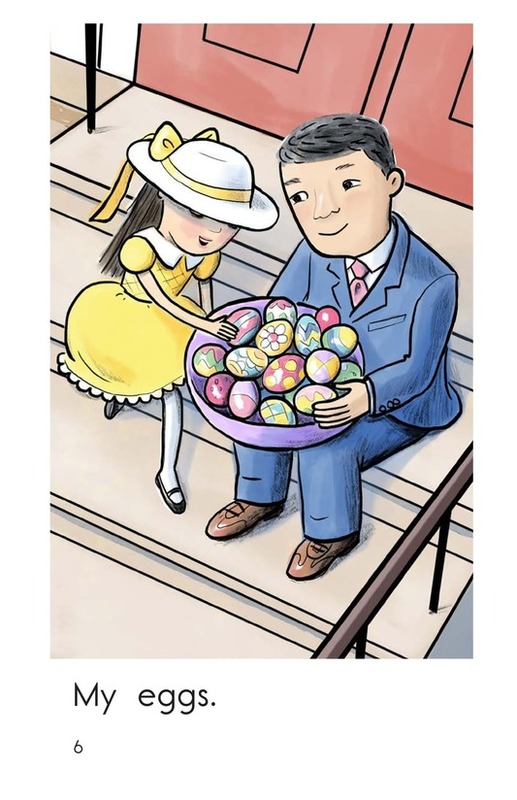 My Easter is a simple story that gives students a look at how one girl celebrates this spring holiday. 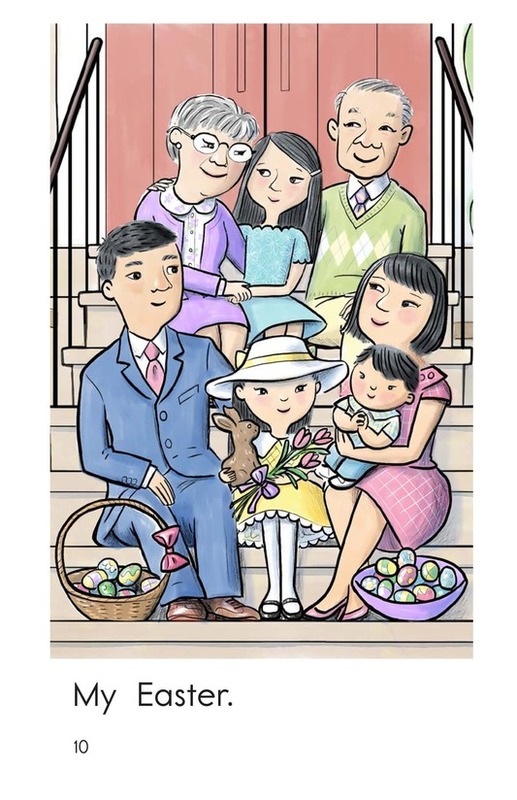 The detailed, colorful illustrations and use of the high-frequency word my provide support for early-emergent readers. 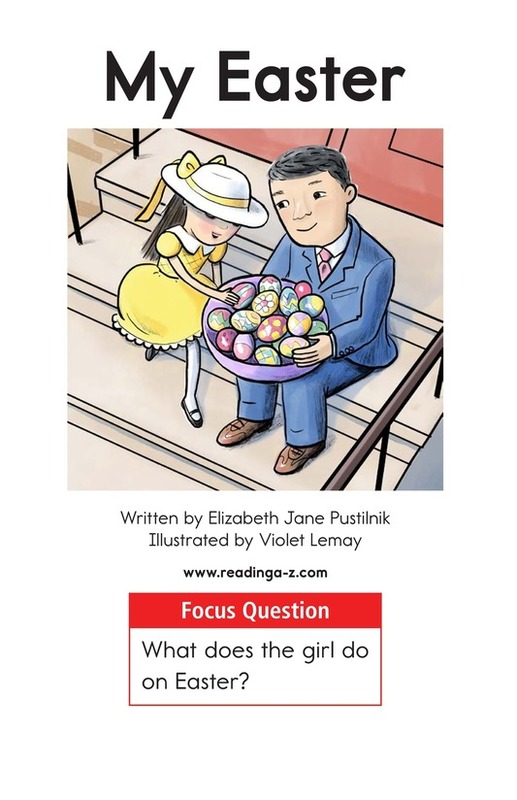 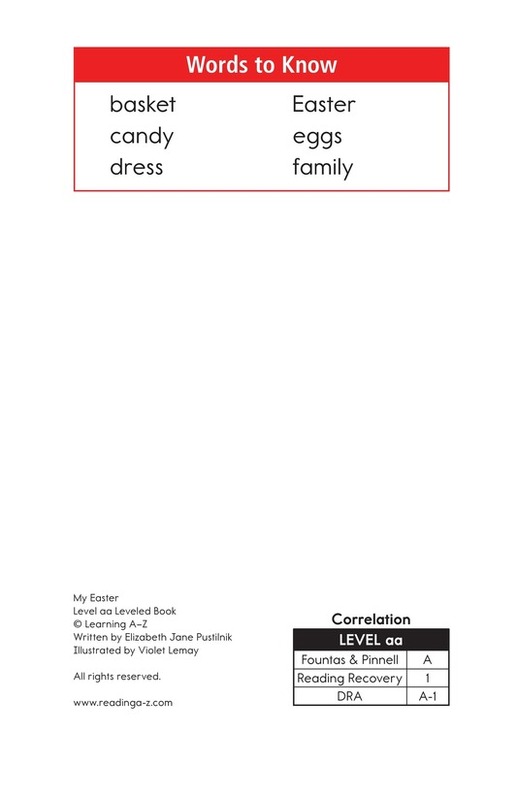 The book can also be used to teach students how to classify information and capitalize sentence beginnings.